Sports and Retainers – Should You Go for Them? Bello Dental Associates Blog Sports and Retainers – Should You Go for Them? Before we get down to the combination of sports and retainers, let us have an independent look at these two. Braces are responsible for giving you that charming smile that you always wanted. However, once your braces have been removed, your teeth have a memory and tend to go back to their original alignment. That is why your dentist will recommend retainers, so that you perfect smile remains perfect forever. Not only do retainers help maintain your teeth in the correct position, but also have other advantages like ironing out speech difficulties. So wearing retainers is a must for an overall healthy dental health. Why is sports coming into the picture? We don’t have to remind you how children love playing sports. Now, while they participate in such activities, they do have high chances of hurting their mouth or falling on their face or just bumping against a hard surface that is very likely to take a toll on their mouth. Children must ensure that they wear mouth guards whenever they take part in sports so that in case of an accident or any such undesirable event, their teeth are taken well care of. 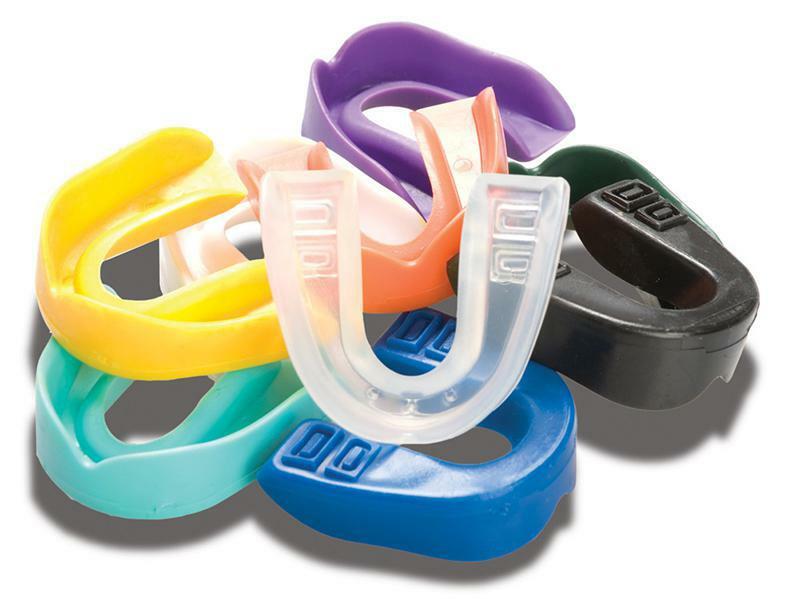 Mouth guards are now easily available in different colors, prints and designs and can even be customized as per the wearer’s desires, so that the children love wearing them and flaunting them while playing, instead of hiding it somewhere and diving into their favourite sports without the much needed protection. So mouth guards are a must when children, as well as adults, play sports. Many people, children and adults, who have been wearing retainers, often wonder if they can wear those retainers when they play sports? This is a very common question nowadays. The right answer to this question is NO. One should not wear retainers when one goes for a swim or plays a sport. This is because chances of falling and bumping are very high and that can cause damage to the delicate retainers that were designed to keep your teeth in the right position. You must wear your retainers at all times, if possible, but carry their containers as well and before you dive in, place your retainer back into its container, place a mouth guard on your teeth and start having fun. In this way, even if an accident does occur, the mouth guard takes the intensity of the injury and protects your teeth. You can always wear your retainers later on. However, you don’t want to risk losing a tooth just because you wore your retainer and not your mouth guard. So where can I store my delicate retainer? The first thing to remember is that you should never leave your retainer in the open or just in the car. These delicate retainers can easily get disfigured if they lie unprotected. So carry the container for your retainer and always place it in the container when it is not in your mouth. Ensure that the container has your initials and your phone number, so that in case you misplace it, it can always be returned to you.